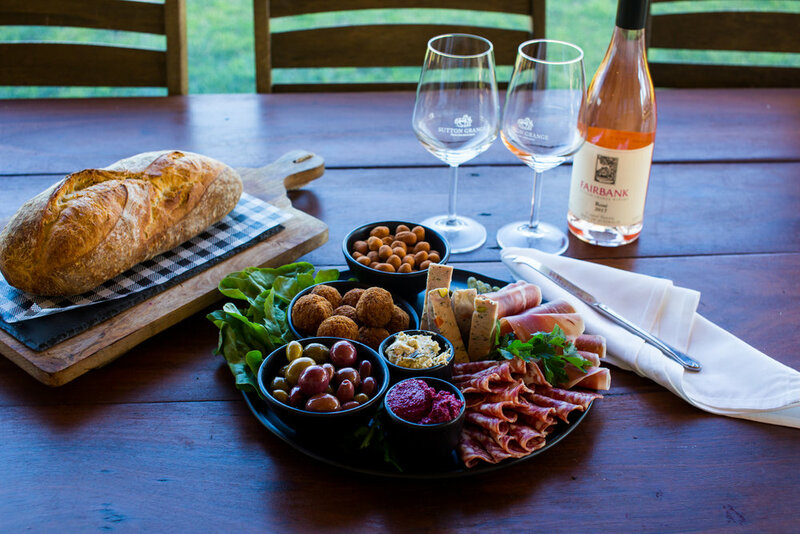 Live music, wine tastings, and regional tasting platters the Sutton Grange Winery cellar door is the perfect venue for your Sunday afternoon Wine Down. For bookings and enquiries please phone 5474 8278 or 8672 1478 or cellardoor@suttongrange.com.au. Welcoming half glass of Ancestrale Sparkling Rose followed by Regional grazing platters and farmyard cheese platters for the table. Bookings between 12pm and 2pm. Welcoming half glass of Ancestrale Sparkling Rose and farmyard cheese platters for the table. Bookings after 2:30pm only and seated outside or on veranda. Indulge in our delicious wine and cheese flights available at Cellar Door every Sunday. From $19 per person try 4 of our finest Sutton Grange Winery wines matched to delicious cheeses from local and abroad producers.